Matt and Erik were tasked to create a mobile bar for Alice and the Magician. Upon request, the bar included a smoke machine, a sink and storage space. 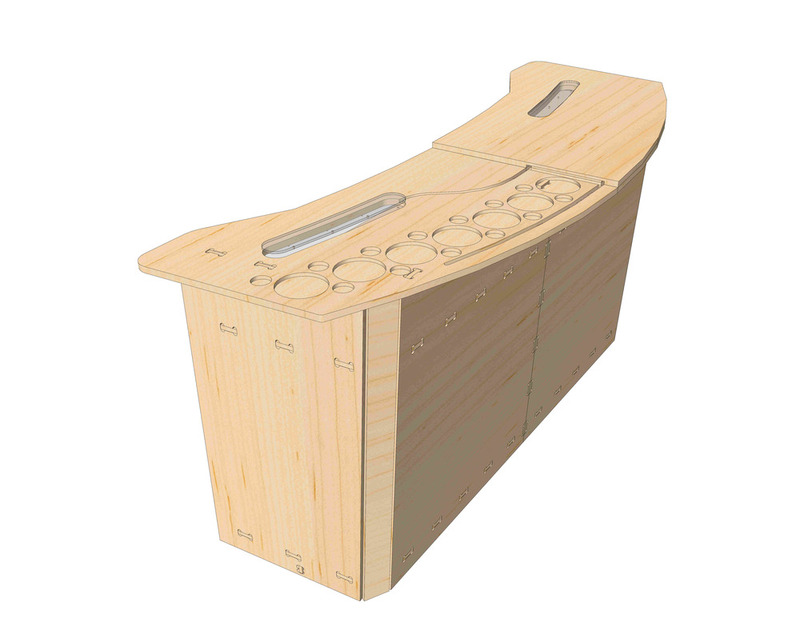 A lot of time was spent in Solidworks developing new techniques for plywood tab joinery. The project then came to life in three short days. The beautiful AA maple plywood bought from The Treehouse in South Burlington was cut on the KL-1212. The back bar consisted of storage space and a smoke machine fed through copper tubing to create a foggy backdrop. The front bar incorporated the Alice and the Magician logo lit up with LEDs, table space, and a hidden sink.